When playing the game, for some reason the CMT's The Silent Cartographer, yelo. keeps crashing. Hello, first off I want to thank you all for the hard work you put into the map over the last three years. Amazing stuff! Right now I'm having the same problem as pancaxe. I have everything updated and installed properly. Now the map I downloaded is a 7z file, and this might sound stupid, but am I supposed to unzip that first? If not, what could be preventing me from playing the map? I know this sounds stupid, but how do i access the Map? i know this sounds stupid, but how do you access the map file? the map is not called "b30" and is instead called "b30_evolved" so how do i access it? You have to open up console. add a [space]-console to the end of the directory saying "C:\\...blah lbah blah...Microsoft Games\Halo Custom Edition..."
Save and open up the game via the shortcut. I don't know why I didn't think of this earlier :/ thanks a ton! I have massive sound tearing any fix for that? Do you have an exception error? Or some kind of crash report? You should send it in to them. Can someone help me? Whenever I try to start up this map I get a black screen and can't do anything except access dev commands. This is every non-scenario-specific tag that was a part of the CMT Evolved project. (To save everyone trouble, the scenario tags are being released separately). 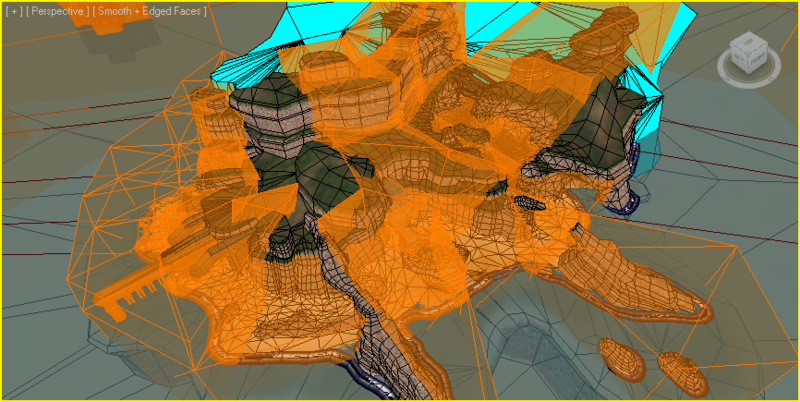 We've also included some of our VFX source files and some fixes for stock tags. 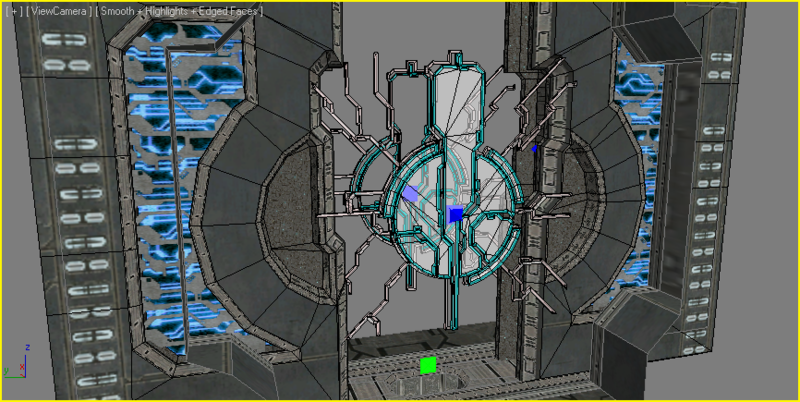 You will need a functional tagset extracted from the stock game and all of its singleplayer maps. You will also need Open Sauce version 4.0 or later. Other than that you should be able to drop the \cmt\ directory into your \tags\ directory and everything should just work. Be careful about the contents of \ui\ -- read the documentation to get an idea of what's going on there. ***DO NOT*** overwrite your UI tags without backing them up first! You'll find a whole bunch of documentation in the \doc\ directory of this release. This is a hugely informal text dump containing information on the hacks, techniques, design principles, and other things that went into TSC:E and its tagset. It is meant to help clear up questions you might have about what was done, how it was done, and occasionally why it was done. It is not meant to be a comprehensive encyclopedia of each tag and all its relevant data -- if you want those kinds of details then go look in the tags. This release is not compatible with prior CMT tag releases. Our organizational structure has changed dramatically and you will only create misery for yourself if you try to drop it in with old CMT stuff that you have lying around. You've been warned. This release also includes some fixed versions of stock tags that break when loaded by OS 4.0 due to weird unused garbage data that they contain. 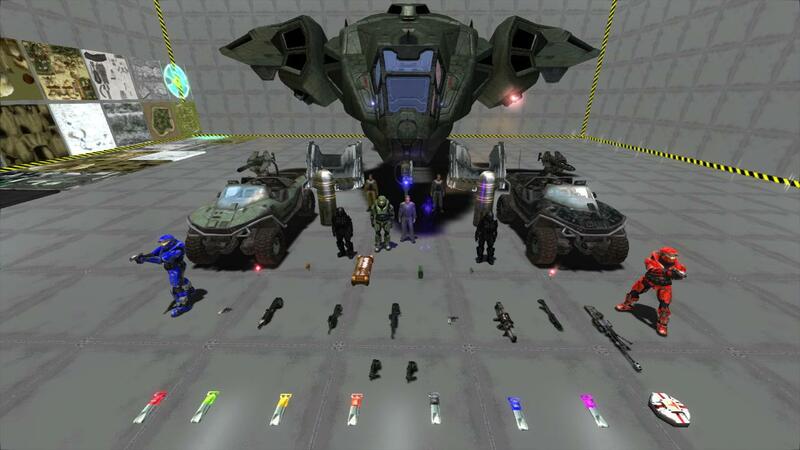 These tags are the Engineer, Pilot, Halo vehicle, B30 falling box, and D40 invisible damage detector. You will find these in \tags-stock-osfix\. 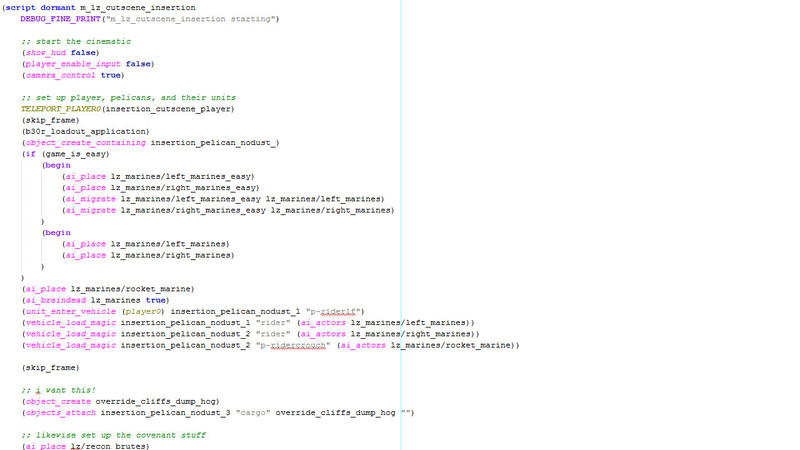 If all you want are the models and textures, read \doc\misc hacks\Optimizations.txt and you should be good to go. If you want nothing more than to transpose TSC:E assets onto stock H1 gameplay, an entire tagset has been made for you that does just that. Read the bonus \tags\Evolved H1-spirit.txt and you should be good to go. If you're using ANY .damage_effects, biped\vehicle collision geometry, or .actor_variants, you MUST read doc\design rules\Evolved damage scale.txt, or you're basically guaranteed to mix things that aren't designed to work together correctly. If you want to add new tags or put the Evolved tags alongside other tags, read everything. Everything. If you don't you are guaranteed to have a strange and un-fun mishmash of things that do not play well together. Don't be lazy and make a lopsided mess when you could instead take an hour or two a week and make everything consistent, attractive, and fun to play. Thank you, Teh Lag! I am that guy who wants to transpose stuff to the original H1 campaign, except I am very new to modding and I'm what I'm about to ask is going to sound stupid. Also, it may not be the appropriate place to ask, so if that's the case my apologies. Anyhow, I understand how to extract and replace tags for a map, but where I get stuck is trying to build the cache file for the scenario. I get errors every time I do it using either Tool in command prompt or using Tool++. I plan on uploading the whole campaign redone with the TSC:E assets to Halomaps, but I definitely don't know what I'm doing and could use some help. Is that all in the tag pack? Some of those weren't in TSC:E.
The raw BSP files are here! We split this off from the rest of the scenario-specific release because the source files alone were 450M compressed. Scripts, scenario tags, and patch v1.3 are probably coming this weekend. 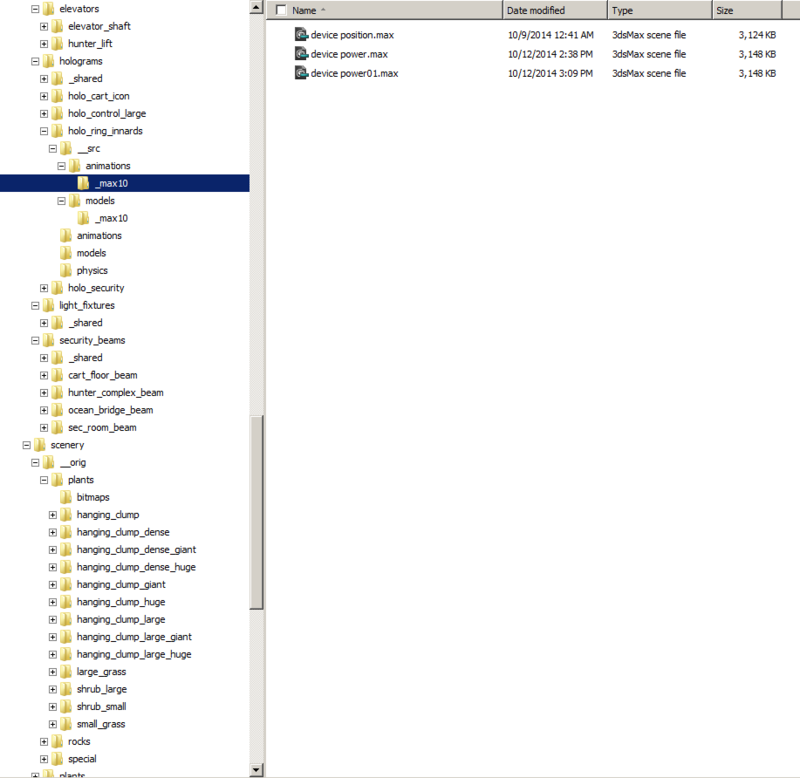 This is every BSP source file for The Silent Cartographer: Evolved that we could track down and organize. The archive includes raw BSP and lightmap-rendering .max files, .tif textures, .psd and .xcf originals when possible. BSP-specific data can be found in \bsp-data\. This also includes data files for the scenario-specific objects, when we could find them. You'll find these files in \data\. Some of our source files are (unfortunately) missing, and some were never properly organized. Maybe one day someone will be able to track down those files. Almost all of our .max source files store their images using *relative paths* instead of absolute paths. This was so we could easily send source files among members and not have to constantly re-reference textures. You will need a \data\ directory with CMT textures in it to your 3ds max image paths in order to load textures for these files. All \bsp-data\ .max files should be compatible with Max 2012 or later; some may be compatible with Max 2010. All \data\ .max files are compatible with Max 2010; some may be compatible with Max 8. \data\ .max files are contained in a \_max8\ or \_max10\ sub-directory when possible to identify which version they're compatible with. \__src\ mirrors the root as closely as possible. References (like textures) to other files in \__src\ should be to other files in \__src\ -- that means we avoided referencing root textures in source max files. This helped us separate the concerns of making art and making the art match the game's formats. If you we didn't know what to do with something, or weren't in the mood to properly organize it or internalize its references, it was dumped into \__orig\. Then at least it's explicitly "poorly-organized" as a warning for hapless travelers. Make sure you have OpenSauce 4.0 installed for your HEK tools, and make sure you're building your maps with os_tool.exe. (There are plenty of guides out there on how to use it). Probably you also want to use build-cache-file-ex, instead of build-cache-file. Tool++ won't work with os_tool. Once you've taken care of those, everything should be fine. Thank you for the pointers, teh lag! I have been playing with this all week and I guess I'm just not smart enough to figure this out. I'll just have to wait till someone else does it or till SPv3 comes out. Anyways, thanks again! This is every scenario-specific tag and script source file that was a part of CMT's The Silent Cartographer: Evolved. 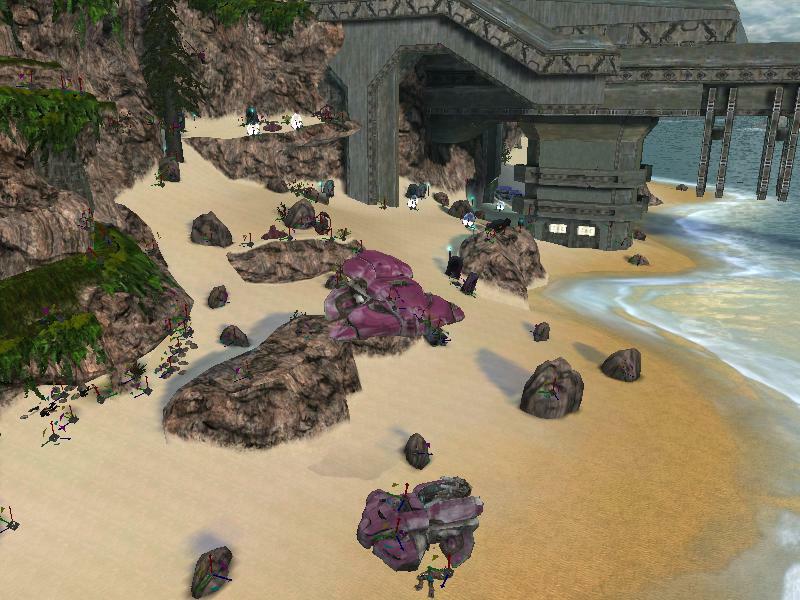 You will need a functional tagset extracted from the stock game and all of its singleplayer maps. You will also need the CMT Evolved core tagset release. You will also need Open Sauce version 4.0 or later. Other than that you should be able to drop the \cmt\ directory into your \tags\ directory and everything should just work. You'll find a small amount of documentation in the \doc\ directory of this release. This is a hugely informal text dump containing information on the hacks, techniques, design principles, and other things that went into TSC:E and its tagset. It is meant to help clear up questions you might have about what was done, how it was done, and occasionally why it was done. It is not meant to be a comprehensive encyclopedia of each tag and all its relevant data -- if you want those kinds of details then go look in the tags. Scripts are under the \scripts\ directory. They have their own set of documentation under \scripts\doc\. 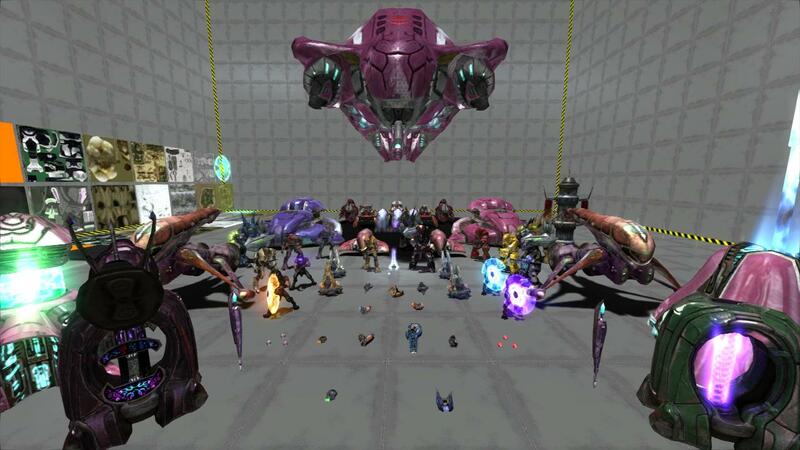 The scripts include a general readme explaining the main principles of the Evolved scripting system (readme_scripts.txt), as well as a reasonably comprehensive tutorial for working with Halo scripts (and particularly our scripts). We hope that it is useful! If all you want are the tags, just plop the \cmt\ directory into your tagset and it'll be good to go. You'll also likely need Python (we used 3.X during development) to build the scripts and use some of our utilities. (However, it's not 100% required and you can disable the operations that need it). Some of our tools assume that you have certain environment variables available on your operating system. Check the \utilities\ documentation directory for more. Patch 1.3 has also been released. I will be submitting these to the Halomaps archive after I get some sleep, for it has been a busy day. There is one last source release bonus coming. We wanted to include it with this, but it's taking a bit longer than expected and we didn't want to delay 1.3 any further. Our final performance approaches.